Microsoft chairman Bill Gates has released a statement paying tribute to Apple co-founder Steve Jobs, who died on Wednesday. The former head of Microsoft said he was "truly saddened" to hear of Jobs' passing and saluted the "profound impact" he had on the world. 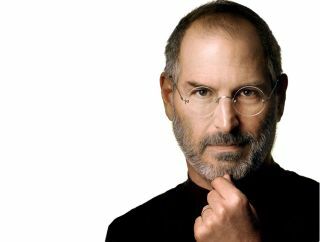 "I'm truly saddened to learn of Steve Jobs' death," said a statement released through his spokesperson. "Melinda and I extend our sincere condolences to his family and friends, and to everyone Steve has touched through his work. "The world rarely sees someone who has had the profound impact Steve has had, the effects of which will be felt for many generations to come." Microsoft and Apple have, of course, had a storied rivalry lasting over 30 years. Jobs and Gates had locked horns while the rival Macintosh and Windows platforms went head-to-head throughout the 80s and 90s, and right up until Gates stepped down as Microsoft CEO in 2008. Microsoft's co-founder Paul Allen also released a statement calling Jobs a "unique pioneer and auteur." Allen said: "My condolences to Steve Jobs' family and friends. We've lost a unique tech pioneer and auteur who knew how to make amazingly great products. Steve fought a long battle against tough odds in a very brave way. He kept doing amazing things in the face of all that adversity. As someone who has had his own medical challenges, I couldn't help but be encouraged by how he persevered." US President Barrack Obama tweeted: "Rest in peace, Steve Jobs. From all of us at #Obama2012, thank you for the work you make possible every day—including ours." Also among those paying tribute was Bob Igner, president and CEO of Disney, where Jobs was on the board. "Steve Jobs was a great friend as well as a trusted advisor, he said. "His legacy will extend far beyond the products he created or the businesses he built. It will be the millions of people he inspired, the lives he changed, and the culture he defined." "Steve Jobs is the most successful CEO in the U.S. of the last 25 years," says Google's executive chairman and former CEO Eric Schmidt. "He uniquely combined an artists touch and an engineers vision to build an extraordinary company. One of the greatest American leaders in history." Author Neil Gaiman tweeted: "Thank you Steve Jobs. You left the world better, and more interesting, than you found it." Rupert Murdoch, CEO of Newscorp said: "Today, we lost one of the most influential thinkers, creators and entrepreneurs of all time. Steve Jobs was simply the greatest CEO of his generation. "While I am deeply saddened by his passing, I'm reminded of the stunning impact he had in revolutionizing the way people consume media and entertainment. My heart goes out to his family and to everyone who had the opportunity to work beside him in bringing his many visions to life." Michael Dell, CEO of Dell Inc said: "Today the world lost a visionary leader, the technology industry lost an iconic legend and I lost a friend and fellow founder. The legacy of Steve Jobs will be remembered for generations to come." Larry Page, CEO of Google: "He was a great man with incredible achievements and amazing brilliance. He always seemed to be able to say in very few words what you actually should have been thinking before you thought it. His focus on the user experience above all else has always been an inspiration to me." Director Steven Spielberg said:"Steve Jobs was the greatest inventor since Thomas Edison. He put the world at our fingertips." Bestselling author and occasional TechRadar columnist Michael Marshall Smith blogged: "Jobs was sometimes exasperatedly accused of operating a 'reality distortion field', but the fact is that yes, he really did change our realities. Apple – and Steve Jobs in particular – turned the computer into something we want at the core of our lives, rather than merely tolerate there. That's the step from the past into the future. Jobs was the guy who got us here. "The near future seems a lot less bright tonight. It doesn't seem as easy to believe that something new and insanely great will always be just around the corner."